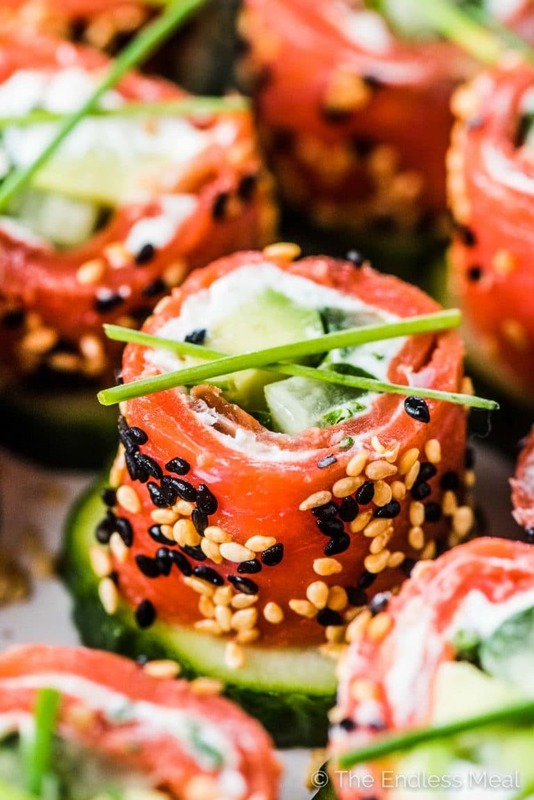 Tzatziki Avocado Salmon Rolls are the perfect party appetizer. 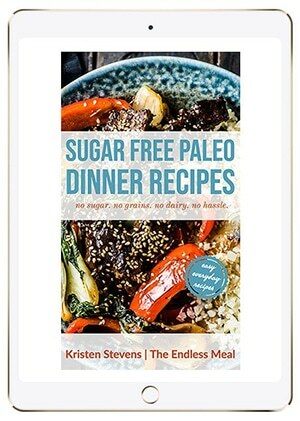 They're totally delicious, easy to make, super pretty, and healthy. Bonus: they can be made ahead of time! 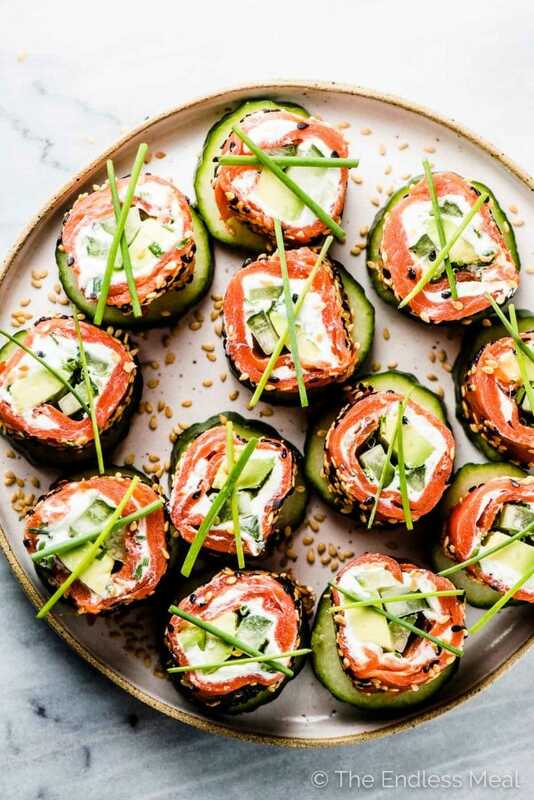 I wish I could tell you that I came up with the idea for these Tzatziki Avocado Salmon Rolls all by myself, but I can't. The credit for these goes to the chefs at Summer Fresh. And it wouldn't be an exaggeration to call them genius. 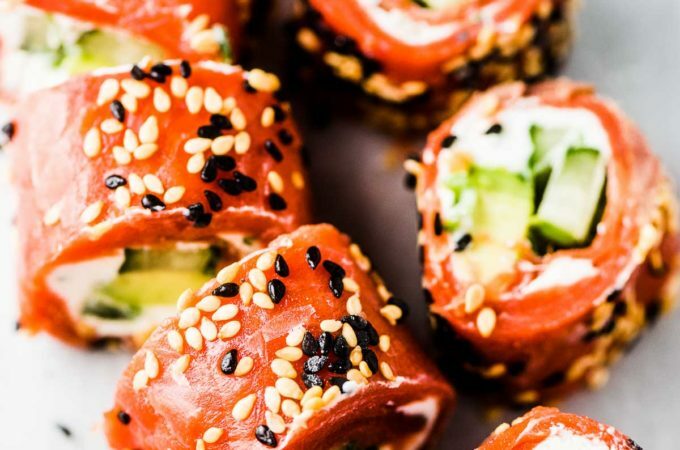 These salmon rolls are pretty much insane. I've made them several times over the past week, and now, looking at these pictures, I want to make them again. They're seriously amazing. Smoked salmon (aka lox) that is tender and a little bit salty and a little bit smoky and a whole lot delicious. Avocado. Because we all know that avocados rule the world. 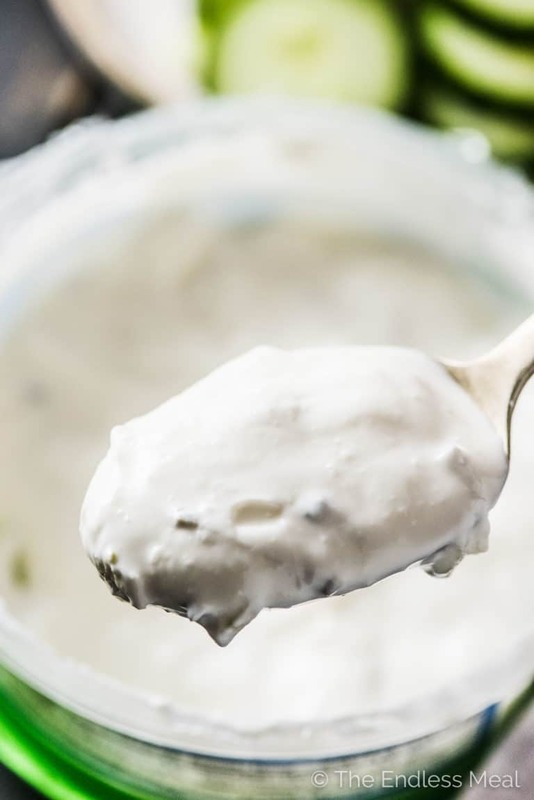 Tangy, Extra Thick Summer Fresh Tzatziki. ← this stuff is da bomb! So pretty! Yes, this is a serious reason why you'll love this. If you decide to share them (and I'm not judging if you don't!) then everyone is going to ooh and aaaah when you bring them out. 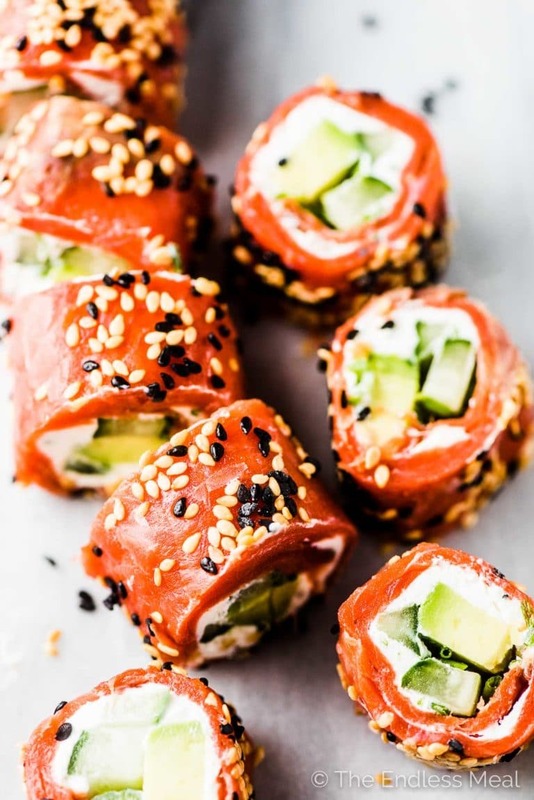 These smoked salmon rolls are gluten-free and low-carb and awesome. 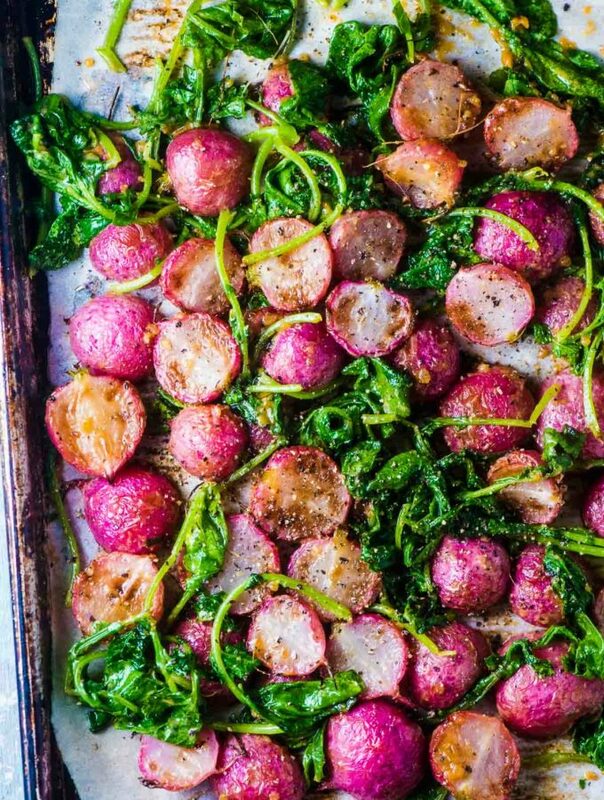 While they're totally party perfect, they also make an easy and healthy lunch. Think sushi without the carbs. See that tzatziki up there? It's one of the many delicious dips and spreads that Summer Fresh makes. Have you tried it? Which do you think I should make first? 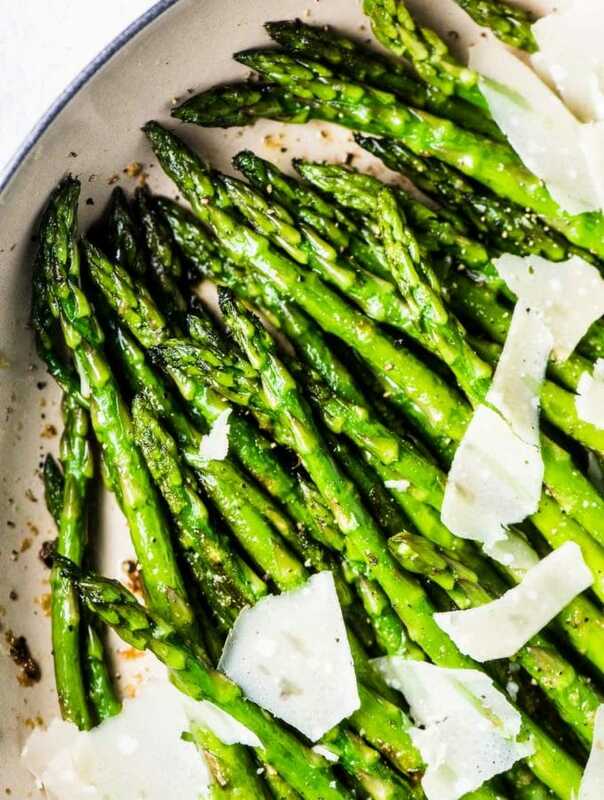 To be totally honest, the recipes on Summer Fresh are awesome. Please promise me you'll check out their appy recipes. There's no possible way you won't be drooling over the pictures. I seriously want to eat them all. Just like the label says, this tzatziki is extra thick. What you don't see on the label is how good it tastes. It's perfectly tangy and super scoopable. Salmon rollups should never again be without it. Life should never be without it. Luck for us, smoked salmon rolls are super easy to make. Don't be at all intimidated by their prettiness. Mix a couple tablespoons of Summer Fresh Extra Thick Tzatziki with some lime juice and chives. Lay a piece of plastic wrap on your table. Take slices of smoked salmon and lay them overlapping on the plastic wrap. You want to make a rectangle shape. 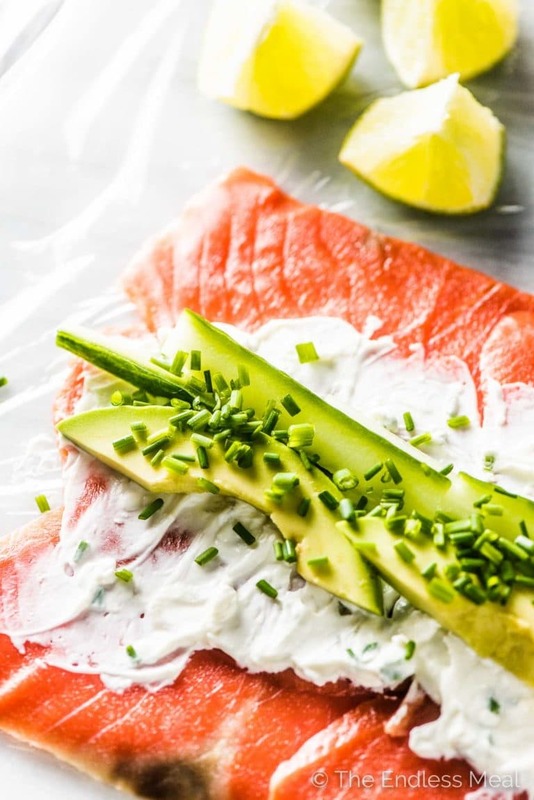 Spread the tzatziki on the salmon, add some cucumber slices, avocado, and a little sprinkle of chives. Now roll it up just like a sushi master. ← this part might sound hard but the plastic wrap keeps the salmon together and makes it really easy. Now sprinkle some sesame seeds over top, cut it into 12 pieces, and pop your rolls on cucumber slices. If you'd like you can place the cucumber slices on little crackers as the recipe on the Summer Fresh Appys Recipe page has. I think a gluten-free rice cracker would be perfectly crunchy. 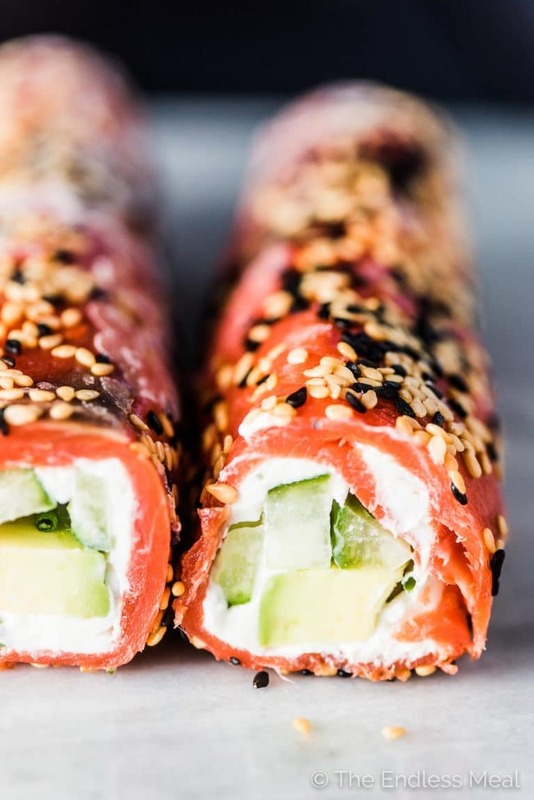 What to serve with this smoked salmon roll? No one would complain if you made a bunch of these salmon rollups and they were the only thing you served at your party. But with all the delicious appy recipes at Summer Fresh, I think we should make a few. I need to stop myself from listing all the Summer Fresh appy recipes here. It's hard to rein myself in when they all look so good! Which would you choose to serve with the salmon avocado rolls? 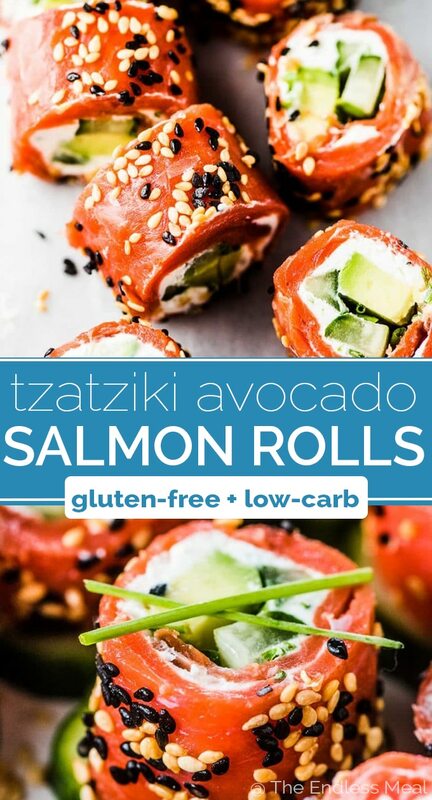 Watch the Tzatziki Avocado Salmon Rolls Video! In a small bowl, mix together the Summer Fresh Extra Thick Tzatziki, 1 teaspoon of the minced chives, and the lime juice. Lay a piece of plastic wrap (about 16 inches long) on your table. Place the smoked salmon on top of the plastic, overlapping the pieces to make a 12″ x 7″ rectangle. Pat them down gently so they stick together. 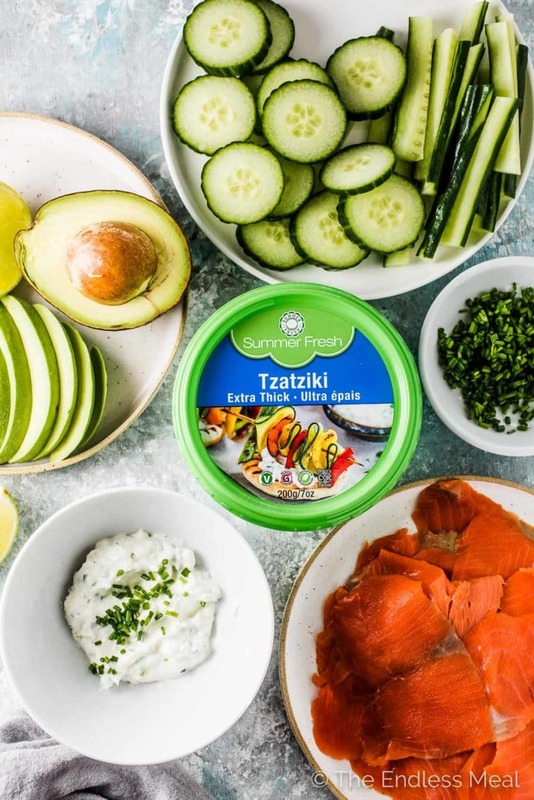 Spread the tzatziki over the salmon. Lay the avocado slices down the center of the salmon, top with the cucumber strips, and sprinkle the remaining chives over the top. Using the plastic to help you, roll the salmon tightly then sprinkle the sesame seeds over the top. OPTIONAL STEP: refrigerate the roll for 15 minutes to make slicing it easier. Slice the salmon roll into 12 pieces, place them on cucumber slices, and top with 2 small chives on each. These salmon rolls are nice served on crunchy rice crackers, too! Make these up to 4 hours before a party and slice them just before serving. See the recipe on Summer Fresh, here.